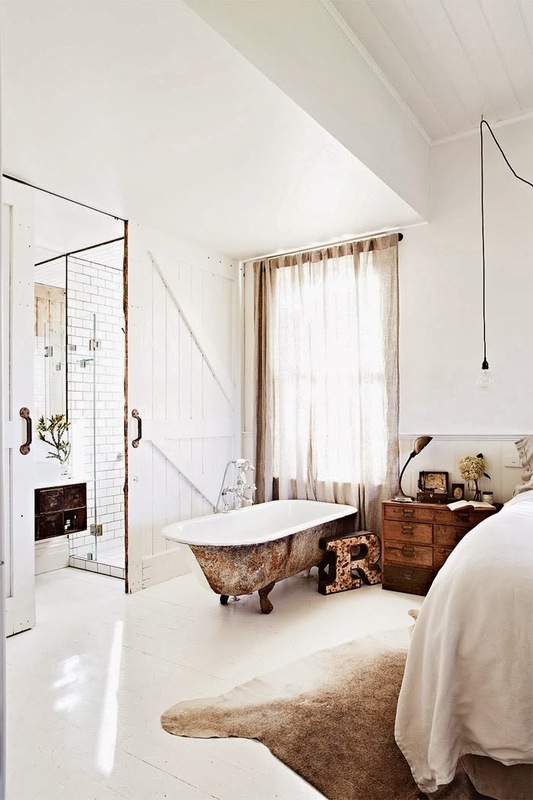 Since Sunday is the perfect day for a lie-in I had to share this bedroom and bathroom from the weekend home of designer Kali Cavanagh featured in Inside Out Magazine. 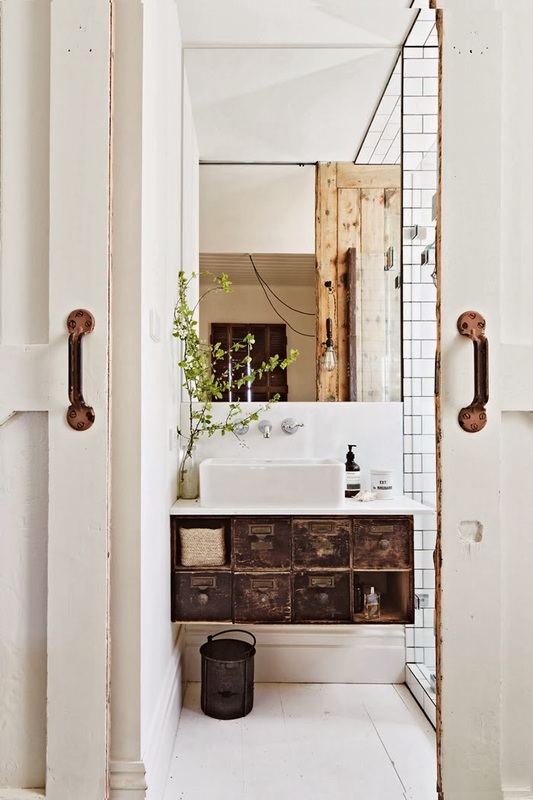 I could spend my whole day flitting between these two rooms. Or perhaps rolling out of bed and into the roll-top bath and back again! How about you? Have a lovely relaxing Sunday and see you tomorrow! Nice bath! The combination of colours too! Same here i am a bit sick so i am in the bed all day. I recently put the same metro tiles in my shower, with silver grouting. I completely adore them! Ohhh! I love this bath, the palette, the furniture, the vintage look! amazing!